Call Accurate Tune Plus today for Transmission Repairs! What Is the Benefit of a Transmission Service? Ask any mechanic and you’ll be assured that having your transmission serviced on a regular basis is a smart move and will extend its life. Service can range from a basic service check to a pressurized flush. Aside from the fact that a flush replaces the old fluid in your transmission with new fluid, this procedure also cleans the filter and system; in addition, it can identify minor transmission issues before they become major problems. A general transmission service involves removing the fluid pan, replacing the filter and gasket, and replacing some of the transmission fluid. 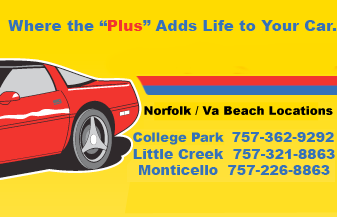 According to Speed Lube, this routine service extends the life of the transmission. Clean lubricant prevents seals and gaskets from hardening, which can cause metal parts to warp and valves to stick. A flush replaces all of the vehicle’s transmission fluid. Pressure is used to push all of the old fluid out so that it can be replaced with new fluid. Flushing also does a good job of cleaning out a transmission’s internal parts and its filter. Both general service and a flush can reveal transmission problems but a flush will give a more accurate indication of what is going on inside your transmission. This is because the pressurized cleaning method helps expose decaying seals and cracks. It will be less costly to replace an old seal or gasket than to wait for serious damage to occur and then have to replace the complete transmission.